Sage does really well in my garden — I mean REALLY well. As a result, a dozen Thanksgivings could not employ as much sage as I’ve grown. Even if I dry all of it for use in cooking, I don’t think I have enough foodie friends to give it to. So I decided to make some sage smudges — sticks of the dried herb that smell nice when burned. The Internet tells me that smudging is associated with some Native American ceremonies. Various new-agey and Pagan practices also use them in cleansing ceremonies intended to balance energy in a home. But dried sage also just smells good, and the smudge sticks look pretty; put them in a bathroom and the steam will release a nice aroma. 1. 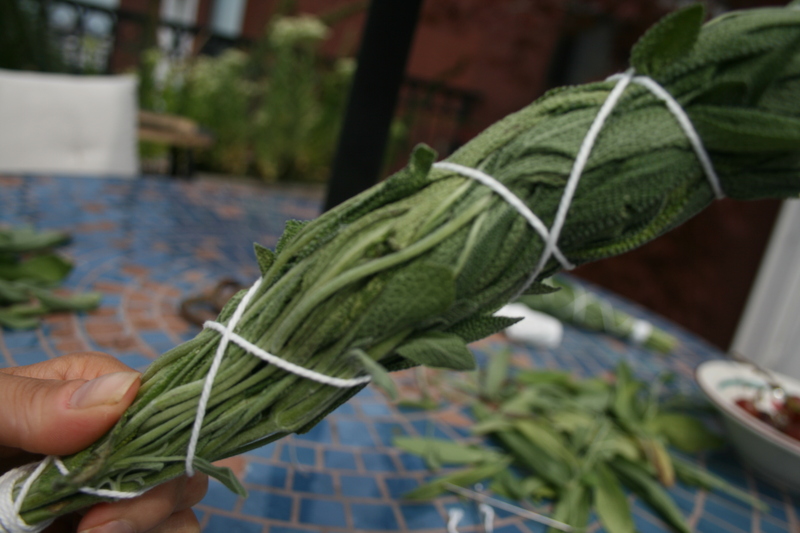 Cut branches of sage about 8 inches in length (shorter or longer if you want shorter or longer sticks). 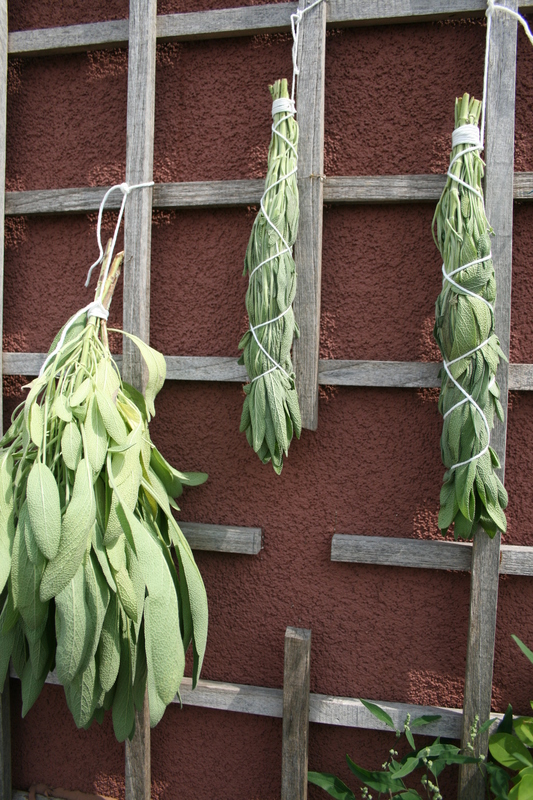 You’ll need between four and seven branches per smudge, depending on how many sage leaves are on each branch. 2. 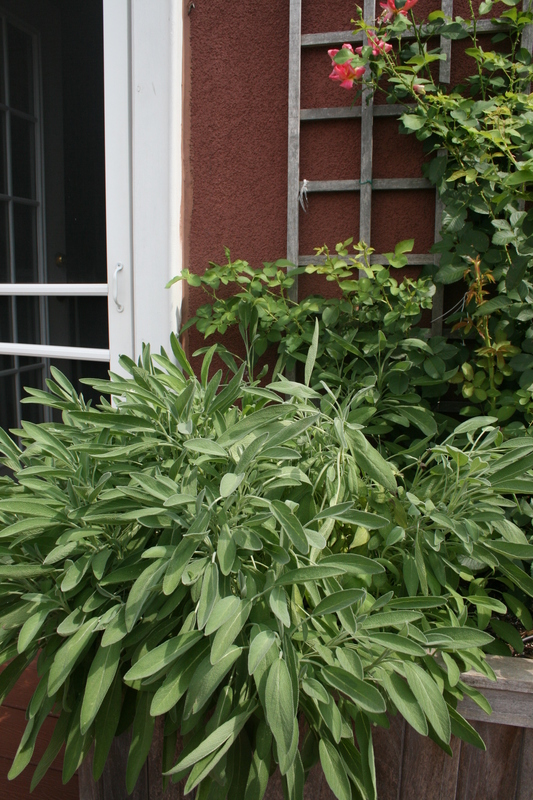 Inspect the cut sage for bugs, as well as moldy or discolored leaves. 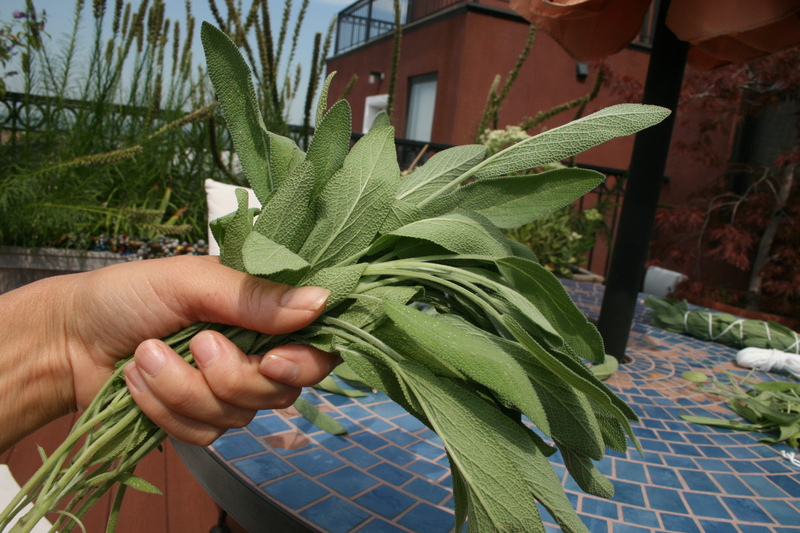 You want to start with dry sage, so don’t bother to rinse it (and if you do, let it dry thoroughly). 4. Wind cotton string around the bottom of the smudge, leaving about two inches of string free. 5. 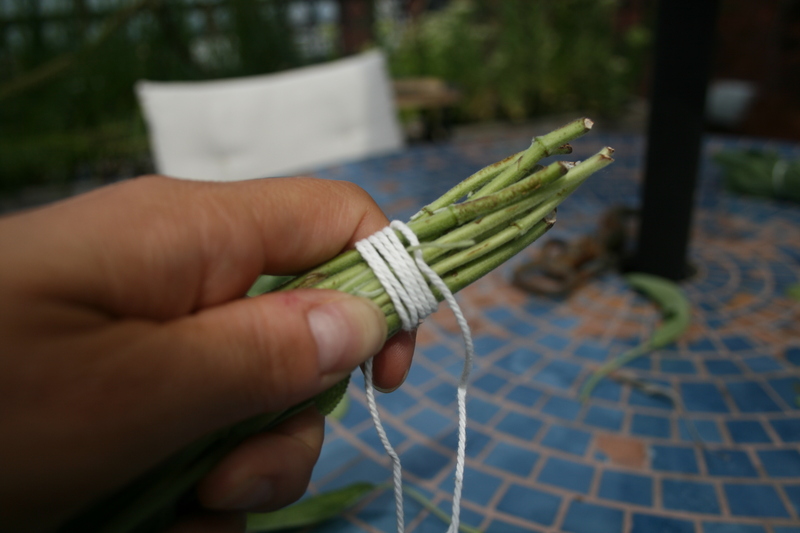 Continue winding loosely up the length of the smudge, compressing the sage with your other hand as you go. Wrap to about an inch from the top, then down again, catching any smaller leaves that might have escaped. 6. At the bottom, tie the string to the two-inch bit you left free earlier. Leave about five inches of string free after your knot. 7. Trim the branch ends to even them up. 8. Hang ’em up to dry. If you live in a very dry climate, outside is fine. Otherwise, staple the string to the top of a paper bag (with the smudge inside) and hang in a dry place. Check every day or two for mold — moisture is the enemy. Depending on your climate, the smudges can take up to two weeks to dry fully. Once dry, trim the strings and dress them up with a ribbon, if you like. 9. To use a sage smudge, carefully light the leafy end; fan out the flame and allow to smolder, wafting the smoke around the house. Here are some tips on conducting a Native American smudging ceremony. And here’s a Pagan version. Or just hang a dried smudge in the bathroom where it will just smell nice. Smudges make a nice gift for those who’ve just been through a divorce or breakup, or as a housewarming gift. This entry was posted in Green and tagged nature, plants, Sage. Bookmark the permalink.